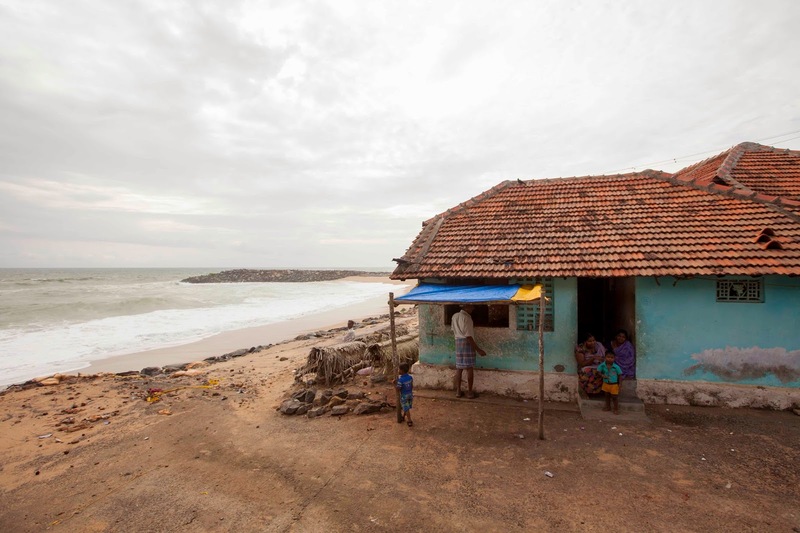 This week I visited some of the coastal areas of Tamil Nadu, India that were heavily effected by the tsunami ten years ago. Although the International Fund for Agricultural Development (IFAD) is not a relief organisation, through it's work in investing in poor rural communities, the fund provides plenty of relief to poor households. 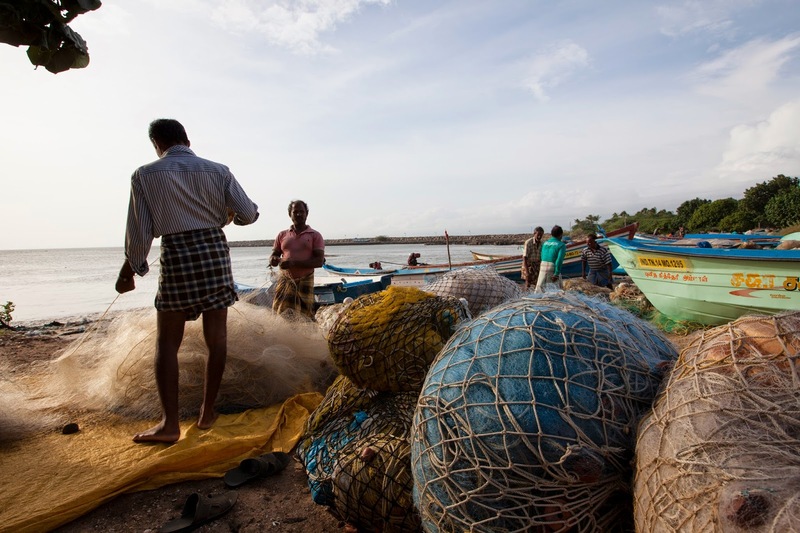 The Post-Tsunami Sustainable Livelihoods Programme for the Coastal Communities of Tamil Nadu (PTSLP) is no exception. The project has been working with people living along the coast and surrounding areas to enhance their livelihoods since 2007. 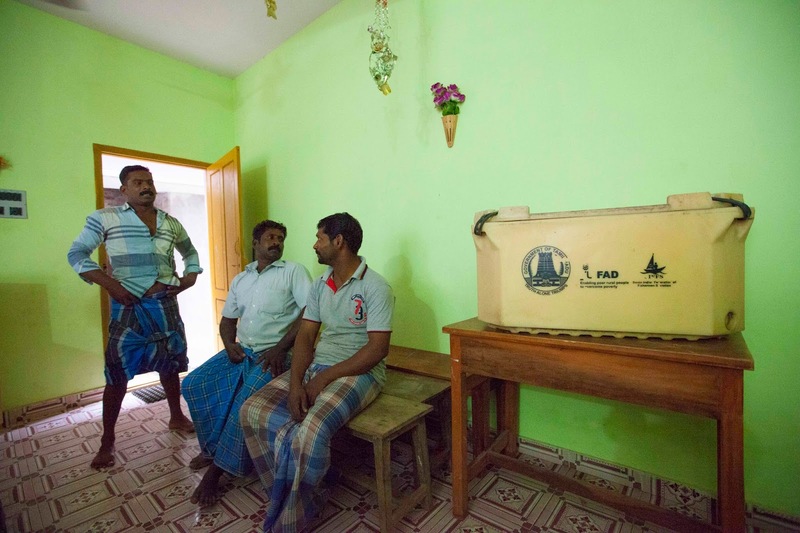 Though the people from this area had never experienced a tsunami before, "they knew something different was happening with the sea, so they ran to the mountains," said the leaders of the Kurumpanai fishermen's group in unison. Many fishermen in the village lost their nets and boats and none of the fishermen in the area were able to work for the next five months. 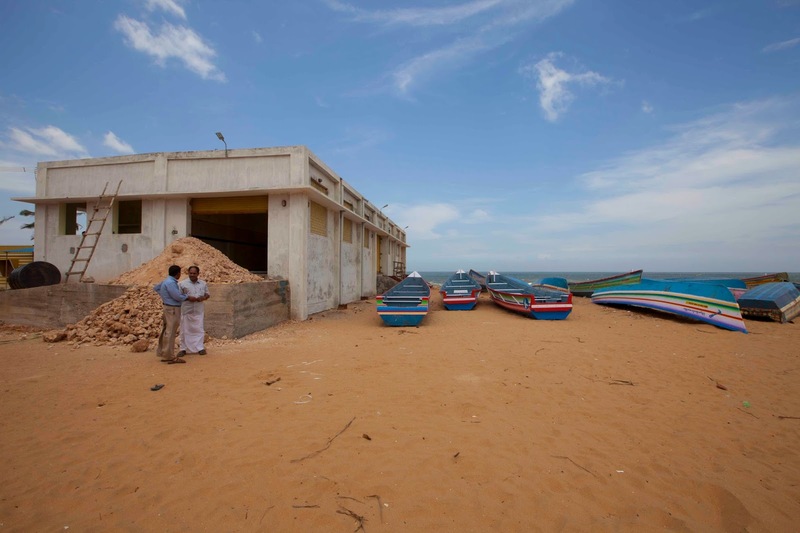 The project provided loans to fishing groups to buy improved boats. Fishermen received fishing nets, ice boxes and cutting knives. Construction of boatyards, landing docks and wholesale fish markets was undertaken. Cement reefs were installed offshore to act as a buffer and protect the shoreline from erratic sea levels. The new wholesale fish market building is near completion in Kurumpanai village. Traditionally, when fishermen arrive with their catch, they sell it directly to retail buyers - right on the beach. Today, the fishing groups practise a more orderly and transparent system of auctioning fish on the landing dock. Women retailers play an active part in bidding for fish and can even estimate their profits for the day. Auctioneer hawks fish to retail buyers in Kanyakumari village. Women, who buy fish wholesale and sell in the local market, were trained in fish handling - though not all of the practises have been easily adopted. 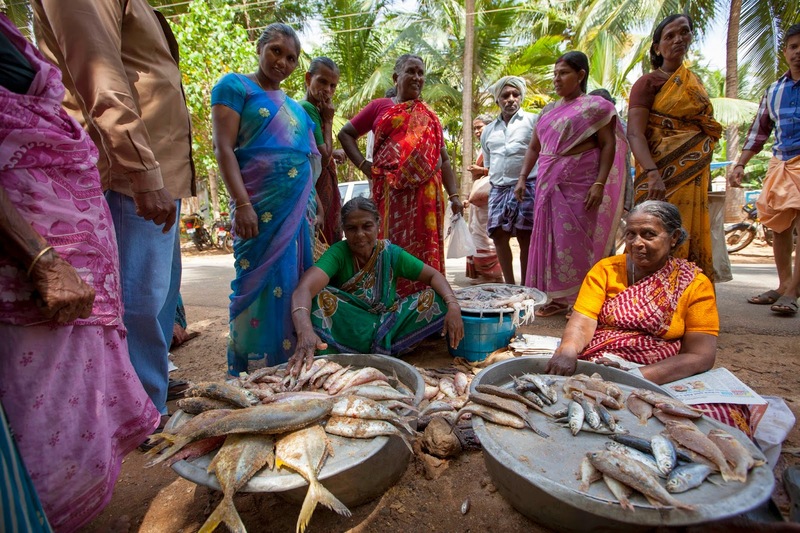 "Though women know better, they still mix fresh fish with sand because then people think it is fresh, if they put ice, people think the fish is frozen," says Maria Roni, 56, secretary of the Kayakumari fish society. 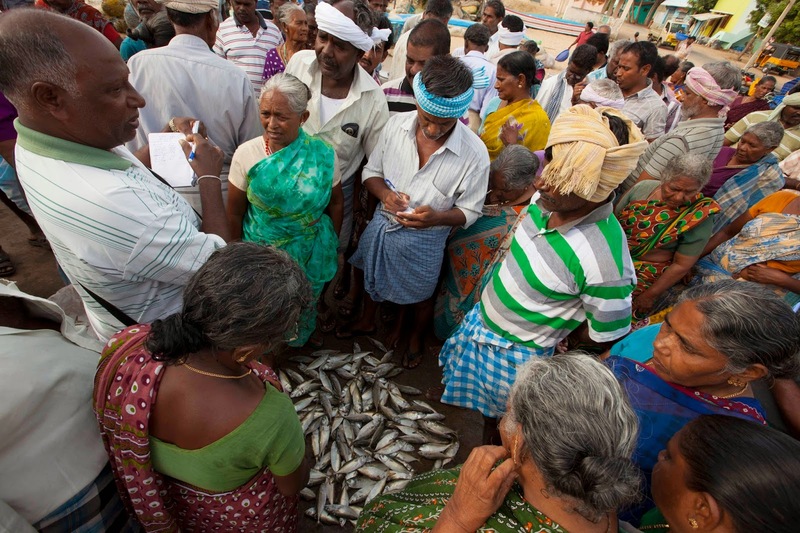 Women sell fish at the Erulapapuram market, 3 kilometers from the coastline in Nagercoil. Beyond fish and fishing, the project has also helped the most vulnerable members of the coastal communities develop skills and start small businesses to generate household income.This subject will be for another blogpost.